This group of turners meet at 7.30pm on the first Tuesday of each month at Eldwick Memorial Hall. They are as nice a bunch as you could meet anywhere, and I’m pleased to be a member. Eldwick is a small village just above Bingley in West Yorkshire. The club has about 70 or so members at the present time, ranging from beginners who only turn an occasional piece, to very experienced and accomplished turners. Meetings are very friendly, social occasions. Drinks can be bought at the club attached to the hall and, all in all, club meetings are very well attended and enjoyable events. The spring 2004 issue of Woodturning had an article on the WRWG. Visitors are welcome to attend three meetings free of charge to see if it suits them. After that you would be expected to join the club. The current membership fee is £30 per annum. The club newsletter editor produces a monthly newsletter which generally arrives a few days before each meeting. This gives news of club members, shows, competitions, club activities and details of demonstrators and other information of use to members. The club has a library of books and videos about turning, and also a tool library where, for a nominal sum, members can borrow unusual or expensive tools to try them out. Abrasives are purchased in bulk and the savings are passed on to club members. 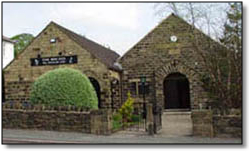 Twice a year the club has 'hands-on' days held at the YMCA sports centre at Lawnswood, north Leeds. These are full day events and tea and coffee are provided together with lunch for members who pre-book it. Members take lathes (usually about eight) and show each other tips and tricks, experiment with new ideas or techniques and generally learn from each other. It is an opportunity for beginners to get advice, and everyone learns something on the day. If you are interested in the club and would like to know more, then you can contact me or have a look at the club’s own website at http://www.wrwg.net/ where details of club meetings and events, and copies of the club newsletter can be found.